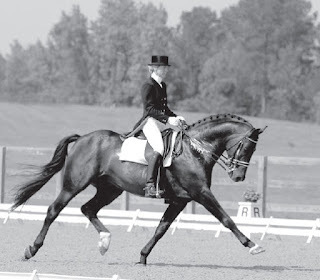 I recently rode a dressage test in the Novice Horse division of an event. I was scheduled to be the first rider after a break, at 2:40. Because of the excessive heat, I arrived at the warm-up at 2:20, just 20 minutes in advance, thinking that I had allotted enough time for warm-up. I was very surprised when I got to the warm-up arena that the warmup ring steward informed me that the judge was ready for my test. So I went in to do my test at 2:25 without a warm-up, since I didn’t want to disrespect my judge. Needless to say, I was not warmed up enough, and I did not have a good ride. If this situation occurs again, what can I do? Do I have to go in early just because the judge decided not to take her break? Should I have told the judge what happened so that she would know why my horse was not properly warmed up? It certainly sounds as if you had your warm-up well planned. What an unfortunate turn of events for you! Most important, let’s review your rights as a competitor at an event. When you are assigned a ride time, you do not need to perform before your reserved time. That is always your right, with no penalty, unless the management has decided that they need to change your time for some unforeseen reason – a storm moving in, for instance. If there is a change in ride times, the management is required to give competitors at least 30 minutes warning before the new assigned time. This would be an official decision made by the ground jury, not by the warm-up steward. So if you get to the warm-up with a planned warm-up routine, it is clearly your right to hold to your assigned time. Please feel positive about doing this. Keep in mind that your warm-up arena steward may be very knowledgeable at his job, or he may be a newcomer. He may or may not be aware of all the current rules. Stewards are our wonderful volunteers that are there to help keep things running smoothly. Show managers and competitors appreciate them and could not do without them. However, they are not officials of the show, nor are they responsible for your ride time. Only you are. You might be surprised to learn that your judge may or may not know what is going on in the warm up or with the warm up arena steward. More often than not, the judge has no way of communicating with the steward. Sometimes, the judge does not even know who the warm-up arena steward is! So bear in mind that if a steward tells you that you need to go in early, he would not be speaking for the judge – the judge would not and could not tell you that: the judge knows that she doesn’t have the authority to do so. However, the judge might be ready and willing to evaluate your ride ahead of its scheduled time. In this case, the decision to go in early would still be yours and yours alone. It sometimes happens, especially in inclement weather, that the judge might shorten her break and tell the steward that the riders may come in early if they so desire, as long as they stay in the same order of go. Most likely, the judge would be offering the riders this opportunity to benefit them. If you are the first one to go after a break, you have the opportunity to take advantage of this earlier ride time if that is what you want to do. But staying to your published time would not affect the way your judge would score your ride, not would it convey any disrespect. If there is a problem or a concern during your show, it is advisable to contact the show’s technical delegate (TD) who is a hired official for the show and is there to ensure that the show abides by all the rules of the competition. The TD knows these rules and can advise and mediate between competitors, management and judges. If the TD cannot solve your problem, and you would like to talk to your judge, consult the TD during show hours before the show has ended. He will either bring your concern to the judge, or arrange for the two of you to meet. In your case, I feel certain that your judge had no idea that you sacrificed your warm up to come in early. In the Novice Horse division, your judge would probably have attributed small problems in your test to the fact that your horse is young and/or inexperienced, rather than that he was insufficiently warmed up. In the future, you should always do what is best for you and your horse, which is what the judge wants as well. Judges want to see you succeed and have a good ride. Good luck in your next competition!